UPnP is enabled, does it have to be disabled? BTW, i own a 7490 and a 7270, which also do not have the /html/capture. But anyhow, with the doku on the avm-page you also get the info how to run the packet-captures, so no issue at all. Should there been anything at HOST= ??? Does the UDN have to match anything? If s, where can i find it? The UDN field has to be left empty, once the Binding discovers your receiver, it will set the correct value. Both of my entertain-receivers do not listen to port 49153 nor 49152 (tested with Angry-Scan and telnet). They even do not react on a “ping”, (no matter if they switched on or off) although they are shown up on my fritz-box (and certainly work well). Do i have to configure something at the receivers itself?? How did you get your thing into the inbox when the discovery didn’t worked? Did you created this manually? I your screenshot I see “HTTP GET” failed…connect timed out. This is a clear indicator that the IP address is incorrect or the discoery was not completed. Again: did you manually created the thing? This thing has to be discovered automatically! This fills the receiver’s IP address, MAC address, UDN. The port is currently hard coded in the binding (see above) so don’t worry if a different number is displayed. By the way: /htm/capture.html also works for the 7490 (that’s my setup) or you could do a tcpdump on the raspberry to get the data. Yes, you have to enable remote connection at every receiver. I‘m not home atm, so cannot exactly point to where to find this setting. This is also the state after a restart. After the (automatic AND the manual) discovery failed, i added the thing manually. Deleted them in the meantime. IP-Adress on the receiver is verified to be 192.168.0.42, network-config on the MR401 is ok (and btw. working well. The system do not run on a raspberry but on a virual Linux-machine (i do not think that makes a difference). But at least, the linux-box is not using WLAN but a cable-connection, so bridge-mode on the fritz should not be necessary (it is anyhow switched on, so also not a issue). @hmerk: As the receiver is controlable with the mobile-app, i assume the remote-connection IS switched on and working. There is only a setting “mobile Geräte können sich verbinden”, which is think is the one you are looking for. And this on is ticked on. start of the bundle in openhab looks also pretty ok, until up to an error “unknown:512”. Maybe this points into the right direction?? No idea, could you please restart openhab and check if UPnP was installed. Also check if you MR was discovered. 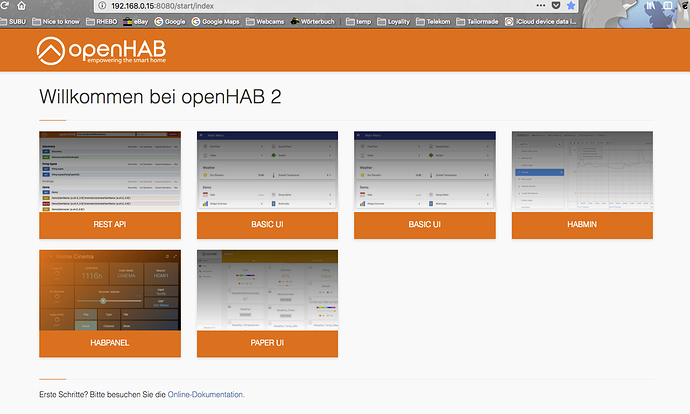 Didi a restart in the meantime of the Router, the receiver and the whole openhab-server. But things are going more and more strange, i`ve two times the basic UI now and get the same error as above. Let you know the outcome, but this may take a while. Try to install the HUE binding - this brings the UPnP support anyways (was the trick which worked for me). ok, I saw the same connect problem with my setup. It’s simple: After the receiver was discovered the thing became ONLINE. After a while the received went to standby, which is a deep sleep in my case (Standby+). When restarting OH I saw exactly the same error, because the receiver was simply off and not responding. So, make sure that the receiver is powered on when pairing. PING has to work, otherwise the box is not reachable. For now the binding has no auto recovery when the receiver becomes online again. I will also add a feature to power up the receiver with wake-on-lan, but that will be implemented at a later stage. For the moment: If the thing becomes offline you need to remove it and re-discover or restart OH so it runs a new discovery process. I’m going to make those thing dynamic, so should be no problem to support different models. Does someone has a MR402 - I would be interested, which model id is reported for this one. This is shown when the binding runs in TRACE mode. Search the log for "EntertainTV: Device discovered: - " and post the result here.